Taipei: Taiwan`s Acer Inc on Wednesday said it has appointed co-founder and board member George Huang as new chairman, tasked with overseeing the recovery of the PC maker`s near-dominant position in a shrinking industry. The appointment was announced after Acer`s annual general investor meeting. It followed the retirement of co-founder Stan Shih, who returned to the company in November to lead a restructuring effort that welcomed a new chief executive and chief financial officer. Taipei, April 18 : Rising Indian shuttler P. V. Sindhu added another feather to her cap after defeating former World No. 1 Shixian Wang of China at the Badminton Asia Championships here Thursday. Taipei, April 17 : Parupalli Kashyap and P. V. Sindhu led the Indian charge at the Badminton Asia Championships winning the opening rounds of their respective categories here at the Taipei Arena Wednesday. Seeded fourth, Kashyap had a tough match against South Korean Ji Hoon Hong which went right down to the wire. The Indian, however, held on to his nerves to pick the last two points and win the match 18-21, 21-15, 22-20 in one hour and nine minutes. This was Kashyap's second victory in as many outings against the World No. 106 Korean, who had also lost the last match at the same tourney in 2009. Taipei (Taiwan), Jan 2 : Taiwan President Ma Ying-jeou has said in his New Year''s address that the ongoing fishery talks between Taiwan and Japan are an "important first step" for tackling territorial and maritime boundary disputes in the East China Sea and turning it into a "sea of peace and cooperation." Ma said the principle of his "East China Sea Peace Initiative," which he unveiled last August, is "to shelve disputes over sovereignty and promote the joint exploration of resources." Taipei, Jan 9 : A fugitive on the run for 15 years was arrested after nostalgia for stewed pork rice caused him to return to Taiwan, a news report said Saturday. Chang Wen-tzung, 56, escaped to China after he was charged with illegally consuming the controlled substance codeine, the Central News Agency said. Chang insisted that police found codeine in his urine because he had taken cough syrup which contained codeine, but he was still sentenced to three years and 50 days in prison. Chang avoided jail by fleeing to Guangzhou on the mainland, where he had been living ever since, the report said. Taipei, Dec 21- Bolivia's Bruno Kettels was crowned Mister International 2009 at a ceremony held in Taichung city in Taiwan. The 20-year-old Kettels, who studies chemical engineering, beat out Spaniard Hector Soria for the title in the competition final Saturday night. Also in the running in the final were contestants from Lebanon, France and Poland. Another Latino winning a trophy in this year's competition was Venezuela's Luis Nuzzo, who received the Mister Congeniality award, while the Taiwanese contestant, Terry Shih, took the prize for best traditional outfit. 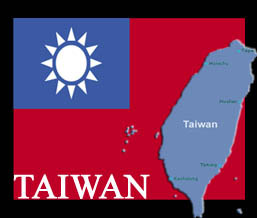 Taipei, Dec 13 - Taiwan will open a research institute on the Association of Southeast Asian Nations (ASEAN) to seek closer ties with the regional group, a newspaper reported Sunday. An unnamed source told The Economic Daily News that at the end of 2008 President Ma Ying-jeou instructed the foreign ministry to monitor the trend of Southeast Asia's regional integration. The foreign ministry commissioned the Chung-Hwa Institute for Economic Research to establish a research institute on ASEAN affairs, the source said. Taipei, Dec 12 : Taiwan launched an island-wide H1N1 vaccination campaign Saturday, offering cabbages and other small gifts to induce people to take the shot. More than half a million people took the vaccination shot Saturday at 2,573 places designated by the Department of Health. They include hospitals, clinics, community centres, shopping malls, train stations and temples. Some Taiwanese are reluctant to take the shot, fearing the vaccine is not safe. To lure people to take the shot, the shopping malls and community centres gave the recipient a big green cabbage or a small gift, like a ruler or a rubber eraser. Taipei, Nov 28 - A Taiwan man was turned over for prosecution Saturday after hiring two men to chop off his hand in order to claim insurance worth 24 million Taiwan dollars ($730,000). Chiang Chi-wei, 38, told police Nov 8 that he had been attacked by two men who chopped off his left hand in Chunghe, a satellite city of Taipei. Police became suspicious because the wound on Chiang's arm was smooth and blood stains were concentrated in one area on the ground. Taipei - Taiwan's visitor figures rose 11.65 per cent in the first 10 months this year, boosted by the influx of Chinese tourists, the Tourism Bureau said Monday. 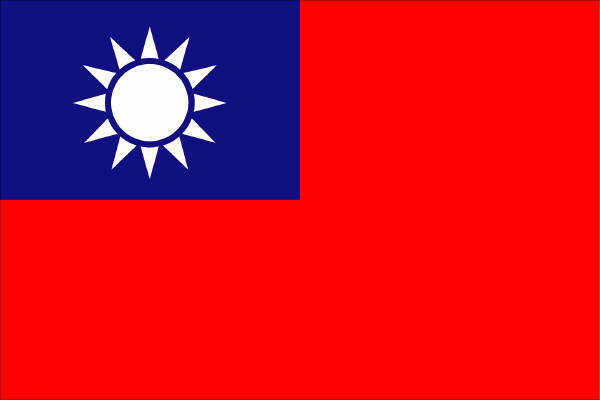 Between January and October, Taiwan received 3.5 million visitors, the Tourism Bureau said in its monthly bulletin. Of these, 1.8 million visitors - or nearly two-thirds of the total - were tourists, up 27.69 per cent year-on-year. The rest were business visitors, foreign workers or students. Taipei - A Taiwan man who had staggered drunkenly into the road was killed by a car after 81 vehicles passed by without stopping to help him off the road, the Apple Daily reported Sunday. Lien Hong-hsin, 51, a retired man, got drunk while playing mahjong at a friend's home in Taipei Saturday evening, the newspaper reported. He took a taxi home but, as he was drunk, he did not enter his home but staggered in confusion to the middle of the road to hail a taxi "to go home." Taipei - A majority of Taiwan residents have more trust in US President Barack Obama than in their own president or Chinese President Hu Jintao, an opinion poll showed on Friday. The telephone survey of 1,004 adults by the Global View monthly magazine found that only 38.6 per cent trust President Ma Ying-jeou, who lags well behind Obama's 46.1-per-cent trust rate. While 35.4 per cent trust Tsai Ying-wen, chairwoman of Taiwan's pro-independence opposition Democratic Progressive Party, only 17.5 per cent trust Hu. Taipei - Twenty-three per cent of Taiwan's city children have considered suicide due to school pressure and family problems, a survey showed. The Child Welfare League Foundation surveyed 1,547 primary school pupils across Taiwan to find out the difference between life in cities and the countryside. The pupils surveyed were from the third and sixth grades, aged 10-13. It found that while pupils in rural areas have fewer material goods than their city peers, they are better off mentally. Taipei - Taiwan Thursday revised an immigration regulation to extend the length of stay for foreign shipping crews to 30 days from one week. "The revision, made in line of current international trend, is to allow foreign crew members to have a longer stay to facilitate their vessel maintenance, supply and cargo loading and unloading work," the Interior Ministry said in a statement. 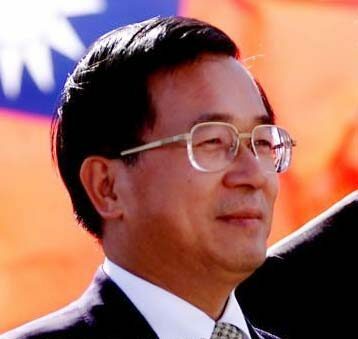 Taipei - Taiwan's former president Chen Shui-bian, serving a life term for corruption, plans to release a CD to call for Taiwan's independence from China, his office said Wednesday. "The single-song CD is entitled One Country on Each Side (of the Taiwan Strait). We are raising money so that we can release it in December," a staff member from Chen's office, who gave only her surname Chen, said. "Chen Shui-bian wrote the lyrics. Composer Wang Ming-cheh wrote the music for the song," she added. Taipei, Nov 14 : Thousands of Taiwanese Saturday marched in the capital Taipei to protest against the end of a six-year ban on the import of some types of US beef products -- which they fear could spread the deadly mad cow disease. "No toxic US beef," shouted some 5,000 banners-waving protesters as they marched towards the square in front of the presidential office. Taipei - Taiwan liquefied crystal display (LCD) makers Chi Mei Optoelectgronics Corp and Innolux Display Corp on Saturday announced plans to merge to increase their global competitiveness. The deal will be carried out through stock swap. The new company will be called the Chi Mei Electronics Co Ltd.
Chi Mei is Taiwan's second-largest LCD maker, while Innolux is affiliated with the Hon Hai Precision Industry Co, which is the world's largest contract electronics manufacturer. Taipei - A lack of handcuffs which resulted in the stabbing to death of a Taipei police officer has thrust the force's dire equipment shortages into the spotlight. Police officer Lai Chih-yen, 27, was driving a mentally-disturbed man to the police station when the man pulled out a fruit knife and stabbed Lai 21 times. Public criticism focused on Lai's alleged negligence until reporters pointed out that police stations lack basic equipment, including ankle chains, clubs, and raincoats, essential given Taiwan's moist climate.